Earl Johnson must be laughing his head off.. When I started fighting corruption at the town hall, I had this idea that it would be difficult to find my way through the maze of all the different rules and laws, there are so many; local bylaws, Mass. General Law, United States Code, the Constitution of the USA, the Constitution of the Commonwealth, rules of civil procedure, court Rules, Rules of appeallate procedure, rules of evidence, standing orders, etc, etc.. I thought it would be difficult but I thought if I really try hard I could get justice. I thought that judges would know the law, read complaints and other pleadings, and at the end would get it right and serve justice. After all, that is what they do, right? They are judges.. I was wrong, very wrong.. If you think that this great nation is still following the rule of law, think again, or better; read my latest court document, my petition for a rehearing of the Johnson Landgate case. I mailed this petition today to the Appeals Court and also a copy to the three law firms that represent the defendants in this case. The next step will be the petition for further appellate review (FAR) to the Supreme Judicial Court..
Click here, to read the petition. Holland Selectman Earl Johnson and Family Profit from Illegal Land Use. Appeals Court affirmed Superior Court Judge's dismissial in the Johsnon-LandGate case. Earl Johnson, Mr. Grinch or Santa Clause? Peter Frei filed Notice of Appeal. Superior Court Judge Dismisses Johnson LandGate Suit. Homes built by the Johnson's, illegal! Brian O. Lees. the clerk of the Superior Court for the Hampden County issued a judgment on February 19, and an amended judgment on February 20, 2009, after judge Velis granted the defendants’ motion to dismiss, see also my previous post, Superior Court Judge Dismisses Johnson LandGate Suit. Yesterday, I filed plaintiff’s notice of appeal, appealing judge Velis’s decision. I also filed the required plaintiff’s notice pursuant Mass. R.A.P. rule 8. The case will now be scheduled to be heard by a panel of three judges of the Appeals Court of the Commonwealth. To read any documents, just click on the bold text in italic describing the document; this is consistent throughout this blog, any bold text in italic is a link! To read all the posts about the Johnson LandGate, click on the link Johnson LandGate which can be found under the heading Categories on the left in the Menu section. First of all, this is not the same case in which I had to sue the Planning Board of Holland (PBH) for failing to endorse my proposal to divide a parcel of land utilizing the Approval not Required procedure, or ANR. That case was decided in my favor by the Appeals Court of the Commonwealth who made a finding that the PBH denied me my right to divide my property. To read the decision of the Appeals Court of the Commonwealth in that case, click here! Back in 2007, at the time I ran for the five year term on the Planning Board, an individual contacted me and informed me that selectman Earl Johnson illegally conveyed a town owned 12.41 acre landlocked parcel of land to his mother in law. 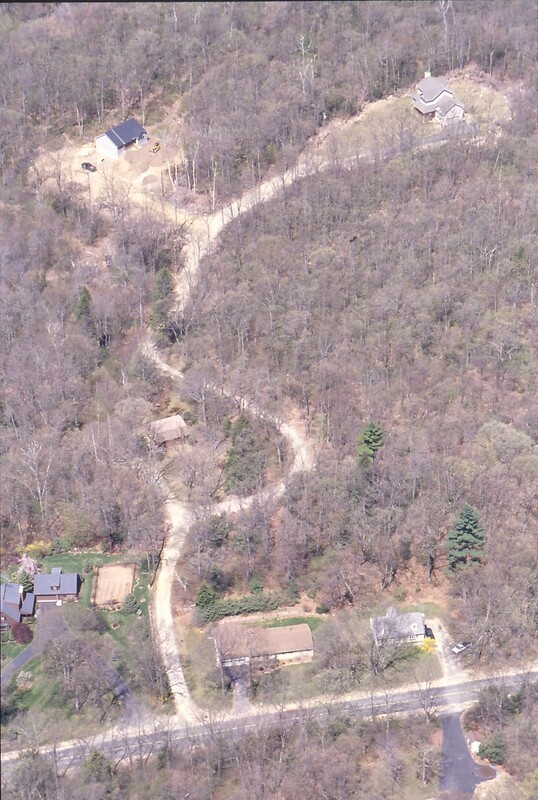 With the help of engineers which fabricated a right of way and the help of the Zoning Board of Appeals (ZBA) and the Planning Board of Holland (PBH) the Johnson familie illegally subdivided the parcel and turned the parcel with little value into three valuable building lots. This individual encouraged me to run for the five year term and said that it would be time that someone with integrity would stop the corruption. This individual provided me with the information that formed the basis for my research which result was a “press release” that I mailed to major newspapers in the area. The claims I made in the press release were so implausible that no newspaper was willing to touch the issue just days before the election back in 2007. I lost the election, Christine McCooe won, and only a few people ever learned about Earl Johnson ‘s illegal self-serving scheme that he set in motion more than 28 years ago. To read the press release about the Johnson land-gate case and view supporting documents, click here! In 1998, I started building a garage or accessory building that you can see from the lake. As I was busy fighting the corrupt town officials, I had not the time to finish the building. For six years, 2002-2008, the PBH denied me my right to divide the parcel of land that forms the peninsula that jets into Hamilton reservoir off of Maybrook road. Once I had filed the appellant’s brief in the Appeals Court of the Commonwealth and also a separate appellant’s brief in my separate appeal to the United States Court of Appeals for the First Circuit, I drew the plans for the superstructure that I was going to build on top of the foundation that I started 10 years ago. Our building inspector Jack Keough was reluctant to amend my building permit for no obvious reasons. He eventually admitted that Earl Johnson would pressure him not to issue the building permit. The position of the building inspector is an appointed position. While Earl Johnson and the rest of the PBH denied me my “entitlement to an ANR endorsement” (opinion of the Appeals Court,) and I was fighting for my rights, Earl Johnson with the help of the rest of the PBH illegally divided the property he had illegally obtained back in 1980, and created three building lots one for each of his three sons, Carl, Eric, and Brian Johnson. I don ‘t know what the reader would have done; I decided to inform the residents of Holland what kind of “leader” Earl Johnson is. The best way to do that in my opinion was to file a lawsuit that would expose his and his cronies ‘ illegal conduct. First I had to exhaust administrative remedies pursuant to the zoning act, M.G.L. c.40A, s.15, by filing requests to enforce the zoning bylaws and the laws of the Commonwealth. I filed two separate requests for each of the illegally built homes for Earl Johnson ‘s son Carl and Eric. Brian Johnson is the owner of the third illegal building lot that is still undeveloped. Click here to read the request for Carl Johnson ‘s house, click here to read the request for Eric ‘s house. Jack Keough then had to respond in writing to my requests, click on the names to read the response for Carl ‘s house, and for Eric ‘s house. Then I had to appeal Jack Keough ‘s denial within 30 days to the Zoning Board of Appeals (ZBA), click on the names to read my appeal for Carl ‘s house, and Eric ‘s house; see also M.G.L., c.40A, s.15. The ZBA was mandated to hold a public hearing within 65 days. Instead the ZBA mailed me a letter. I responded to the letter with my letter. The ZBA than had to file a written answer within 100 days and also file its answer with the town clerk. The ZBA failed to do that as well. The public hearing the ZBA was mandated to hold would have been the appropriate time to question whether I have standing to bring this request to enforce the zoning bylaws and zoning laws of the Commonwealth. However, the ZBA mailed me another letter. The ZBA actually endorsed my check and did not send it back as stated in their letter. The town mailed me one of their checks 10 days later. Chapter 40A, section 15 deems an appeal constructively granted in case the ZBA fails to act. Kristin Laplante then had to issue a certificate to the effect that my appeal to the ZBA became constructively granted due to the ZBA ‘s failure to take action. She refused to do so following the advice of town counsel Vincent McCaughey. She instead asked me to file a written request which I refused to do in a letter. I than had to inform in writing all interested parties of the constructive grant of my appeal and inform them that they can appeal the constructive grant if they are aggrieved by the constructive grant, M.G.L., C.40A, s.15. I did so with a certified letter. Not one member of the selectboard, nor a member of the ZBA, nor a member of the PBH, nor any of Johnson ‘s sons, nor any of the selectboard members, nor any of the abutters appealed the constructive grant within the 20 day period. By this time, the constructive grant of my request to demolish the two illegally built homes was a legal fact and this according to the law that is known as the zoning act, c.40A, s.1, in more specific terms, according to section 15 of the zoning act. It was time now to file a petition for an order in mandamus with the Superior Court to seek a court order which would declare my appeal to the ZBA as constructively granted, declare the two homes illegal, and which would request the moving, dismantling, or demolishing of the two illegal dwellings. click here to read the complaint. As expected, the sixteen defendants through their three attorneys filed a motion to dismiss, supported by a memorandum. I filed my opposition. These documents are interesting to read as they show clearly that the defendants ‘ lawyers misconceived the legal situation they found themselves in. Judge Velis dismissed the case as I expected him to do. Click here to see the clerks notice. We, the town and I, found ourselves in the same situation as we were before in the case Peter Frei v. Planning Board of Holland, Town of Holland. This is the case that was adjudicated in my favor on Appeal, the second case the town lost despite the fact that the town wasted tens of thousands of dollars attempting to deny me my rights out of spite. Once again the town has blundered themselves into a situation were they will lose on appeal as the statute is unambiguous. Once again the town will waste tax payers money, this time in an attempt to cover-up their self-serving acts. While normal people work hard to earn the money to buy a parcel of land to build a house, Earl Johnson helped himself and his family by conveying a parcel of town-owned property over to his mother in law instead of putting the parcel up for public auction. The issue the Court of Appeals will have to decide is a very narrow one; the issue is whether I filed all the papers correctly. If I did do so, my appeal to the ZBA became constructively granted. The constructive grant pursuant to C.40A, s.15. is not pegged to any conditions other than procedural requirements. The constructive grant is not pegged to the condition whether I have standing or not. The language used by the legislator is unambiguous and mandates a constructive grant, see C.40A, s.15. Judge Velis argued in his decision that I would not have standing to bring this action before the court. In my opinion he is wrong for the reason I outlined above. Judge Bertha Josephson erred the same way in my case against the PBH; she did not apply the statute as the legislator wrote it too. It is also important to notice that judge Velis ‘s decision does not deny that the two dwellings built by the Johnson ‘s are illegal. There is no case law that even comes close to this case. Never before had a selectman so much help from different boards. The illegal permits were issued based on unanimous votes. Unanimous votes by the ZBA, and the PBH. The only official that did the right thing was Jack Keough. He denied the initial request by Eric Johnson for a building permit. Everybody that will take the time to study this case will realize what kind of a man Earl Johnson really is. The next step will be my notice of appeal as soon as a judgment is in place. I expect to have justice served and Earl Johnson and his corrupt cronies exposed. Earl Johnson, a selectman, a planning board member and one of the tax assessors of Holland, Mass., has a legacy of illegal land use transaction and abuse of power that dates back more than 25 years.